The disputes between [Finance Minister Alexei] Kudrin and President [Dmitry] Medvedev are well known, at least to experts. Military expenses were the key issue. One may question Kudrin’s judgment in any other sphere, but what he did to create financial stability and fight financial turmoil is due the highest respect. And experts freely to admit it. Putin also knows it well, and it seems to me that as far as economics and finances are concerned, Putin defers to Kudrin’s judgment, not the opposite way. Kudrin is the only person within Russian government who manages to connect the western way of reasonable politics and the way things are done in Russia. So he is, of course, crucial for the prime minister, and Putin will never let him go. I feel convinced that all this conflict will fade as time passes. 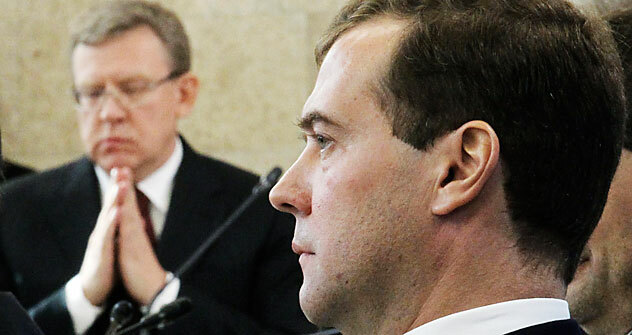 And Kudrin will have to make his apologies to Medvedev in one way or another. Not directly, but that’s the message. Kudrin is one of these people who are approved as professionals by the parliament without any doubt. I think he could find a job for himself (there) in any case or they could find a job for him. Another thing is interesting. Kudrin clearly indicated that he is one of Putin’s team. In fact, he was said to the prime minister: “Vladimir Vladimirovich, just tell them to leave me alone.” And here’s the big problem for Putin: I think the former president (and, most probably, president-to-be) doesn’t like this kind of thing. He doesn’t like to argue in public. People behaving like this soon fall out of favor. I think there will be a short-term negative reaction to Kudrin’s resignation, but in the long-term, the consequence of him being fired won’t influence Russia’s investment climate. The common trend [in Russian economy] is negative by itself and it will continue to worsen. The market will soon forget the news about Kudrin’s resignation, it will be just another negative episode, but won’t cause any sharp curves or downslides.